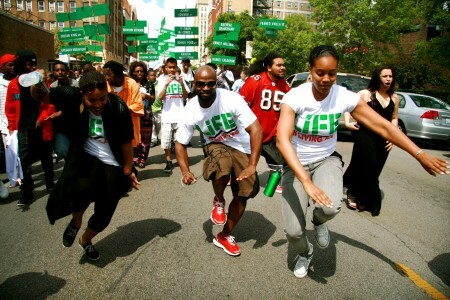 On August 18 from 2- 9pm, the Walker will host Living Classroom, a day-long gathering exploring the question “what sustains life in your community?” The Living Classroom is part of a residency of Marc Bamuthi Joseph, a spoken word and performance artist dedicated to building and supporting creative ecosystems. A National Poetry Slam champion, Broadway veteran, and Goldie award winner, Joseph has been working since 2008 on Life is Living, a series of eco and art festivals launched in urban parks nationwide bringing together art, activism, and education. On August 18, Bamuthi and partners from across the Twin Cities will transform Open Field into a space for conversation with artists in any way you can imagine—over ping pong, on the dance floor, and at the drawing table. Along with hosting the Living Classroom at the Walker, we are partnering with Juxtaposition Arts and Leah Nelson/Nubia on residency activities in North Minneapolis, to include an Open Block party on August 17, and an after-party on August 18. Come hang out with spoken word/theater artist Marc Bamuthi Joseph and many other local and national artists to exchange ideas exploring “what sustains life in your community?” while sharing some of their favorite activities. Here is the lineup of a packed day of exciting activities throughout the Walker campus! Spoken word artist and educator Desdamona facilitates a Collective Collage around the question “What sustains life in your community?” Using magazine cut-outs, written word, and drawing, the public creates a backdrop for the evening performance. Join Carolyn Anderson, Julie Buffalohead, and Jim Denomie for communal drawing and socializing, as they demonstrate their respective drawing skills and discuss community and history with expert strokes. Ping Pong, karaoke, and 1300 photos that span 35 years by photographer Wing Young Huie: this re-imagines your old-fashioned, living room slide show coupled with basement-style ping-pong and communal singing. There will be organized mini-tournaments led by ping-pong enthusiasts/artists John Kim, Peter Haakon Thompson, Jenny Schmid, David Petersen, and others. 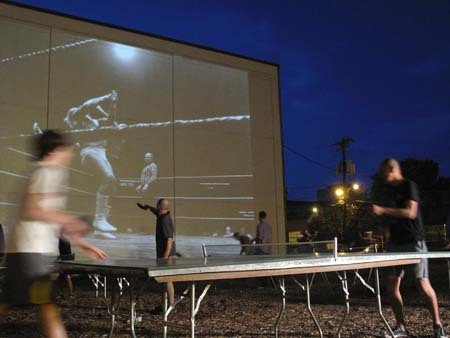 This installation is an extension of Wing’s many public art projects that create communal spaces in urban areas, a concept that is further realized with his new gallery space—THE THIRD PLACE—in South Minneapolis on 38th Street & Chicago, where artists of differing genres perform/present, then lead a salon-style discussion, followed by ping-pong, karaoke (with guest KJ, Steph Pituc), and general frivolity. Instructions for Peace is conceived and curated by Marlina Gonzalez. For more info click here. 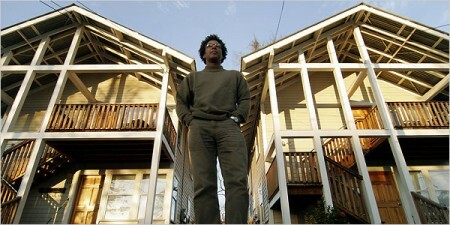 Share stories and thoughts on healthy living and communities over dominos with artist/urban designer/activist Rick Lowe. This video, by youth from various neighborhoods in Minneapolis, Line Break Media, and spoken word artist Tish Jones investigates questions and themes on what sustains life in community. Through a series of interviews collected from FLOW, the annual North Minneapolis art crawl, original spoken word pieces generated by participating youth, the term “sustainability” is examined through multiple perspectives. Juxtaposition’s S.T.E.M. (Science, Technology, Engineering, and Math) students share their concepts and models around sustainable environmental design. Inspired by walkabouts, the traditional Australian Aboriginal ritual of journeying along ancestral pathways, discover how to support your own community on a walking tour of the Loring neighborhood. Local architect and public space guru Marcy Schulte leads a meandering conversation that highlights physical art and cultural programming in public spaces, and considers how citizen participation is essential for an integrated, healthy community. This activity, in partnership with Citizens for a Loring Park Community and Friends of Loring Park, is part of Living Classroom, a day-long event exploring sustainability through the arts. Each tour (3pm and 6pm, lasting approximately 45 minutes) will meet at the South entrance of the Minneapolis Sculpture Garden (off Vineland Place), circle through Loring Park, and end at Walker Open Field. Stretch your imagination with storytelling games for kids and adults, led by theater artists Leah Cooper & Anton Jones. Developed by John O’Neal of the Free Southern Theater and used across the country, community story circles bring people together to explore our commonalities and differences through storytelling. Map characters, conflicts and solutions while developing a narrative around community in the Twin Cities. A session lead by Line Break Media, a nonprofit organization dedicated to the storytelling of individuals and groups working for justice in their own communities. Leah Nelson/Nubia, OYIN – a Dance Collective and Special Guests will perform throughout the space. Join OSO and Luis Ortega in traditional Puerto Rican rhythms, song, and dance known as Bomba. Juxtaposition Arts (2007 Emerson Ave. No. -West Broadway and Emerson Ave No) DJ’s, live music and dance performances, hip-hop karaoke, and more! Come bless the new Juxtaposition dance space with positivity for a successful fall 2011 Opening.